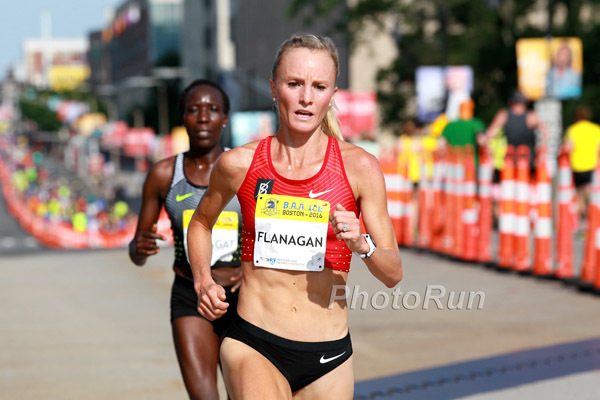 Shalane Flanagan has chosen to hold off on retirement as she bids to win the Boston Marathon for the first time, the title sponsor John Hancock announced on Monday. The 36-year-old took victory at the New York City Marathon last month and afterward, said she was undecided about the future, hinting that it may have been her last race. However, the Marblehead, Massachusetts native will now toe the line once more at her home marathon, which she has completed three times already: finishing fourth, fifth and ninth in 2013, 2014 and 2015 respectively. She will face a strong line-up of fellow Americans, with Jordan Hasay, Desi Linden, Molly Huddle and Deena Kastor all in opposition, along with last year’s winner, Edna Kiplagat of Kenya.